Wolf Commercial Real Estate, a leading South Jersey commercial real estate brokerage firm with knowledge and experience in South Jersey commercial real estate listings and services, is now offering superior South Jersey office space for sale at 4 Haddonfield Road Cherry Hill NJ and 7730-7740 Maple Avenue Pennsauken NJ. This professional office space for sale in South Jersey sits on 3.14 acres of land near the Cherry Hill Mall and is an ideal redevelopment opportunity to create new office space in South Jersey. — The South Jersey professional office building for sale at 4 Haddonfield Road Cherry Hill NJ is a two-story structure with 17,000 square feet of professional office space in South Jersey. — The South Jersey professional office building at 7730-7740 Maple Avenue Pennsauken NJ is one story and has 13,000 square feet of South Jersey professional office space for sale. The asking sale price for this professional office space in South Jersey in the Cherry Hill Mall is $1.95 million. 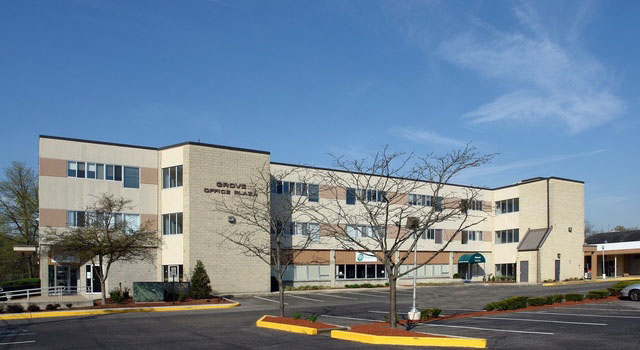 These South Jersey office buildings for sale are available for immediate occupancy through Wolf Commercial Real Estate, a South Jersey commercial real estate broker that specializes in South Jersey commercial real estate listings and services. The lot upon which this professional office space for sale in South Jersey sits has both monument and building signage available. This South Jersey professional office space for sale is zoned B-1 as a Neighborhood Business Zone. 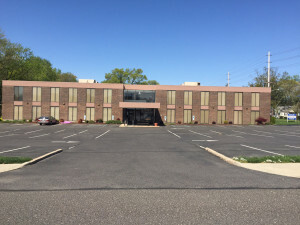 The South Jersey professional office building for sale at 4 Haddonfield Road Cherry Hill NJ and the South Jersey professional office building for sale at 7730-7740 Maple Avenue Pennsauken NJ both are a great fit for any professional or medical user. These two South Jersey office buildings for sale are near public transportation. The location of this South Jersey office space for sale offers quick access to routes 38, 70, 73 and 130. Also, the New Jersey Turnpike and I-295 as well as several bridges to Philadelphia are close to this professional office space in South Jersey. This South Jersey professional office space for sale is being offered by Wolf Commercial Real Estate, a South Jersey commercial real estate brokerage firm that specializes in South Jersey commercial real estate listings and services. 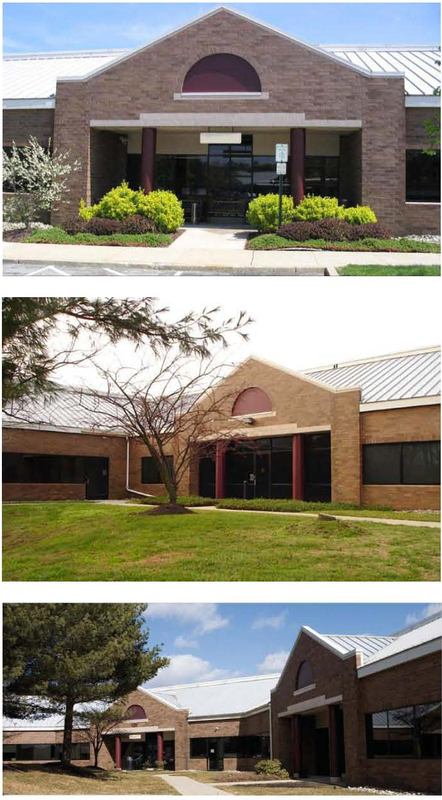 The South Jersey office building for sale at 4 Haddonfield Road Cherry Hill NJ is designated as Block 3801 and Lot 2 while the South Jersey office building for sale at 7730-7740 Maple Avenue Pennsauken NJ is in the municipal tax records as Block 4312, Lot 2B. In addition, there is close access to restaurants, banks, retail and medical establishments from this professional office space for sale in South Jersey. In excess of 300,000 individuals live in a five-mile radius of this professional office space in South Jersey and the average household income in this zone is $75,089. These South Jersey office buildings for sale offer a great opportunity for an owner occupant. There is an excellent on-site parking ratio at this South Jersey professional office space for sale at 4 Haddonfield Road Cherry Hill NJ and 7730-7740 Maple Avenue Pennsauken NJ. For more information about this South Jersey office space for sale near the Cherry Hill Mall at 4 Haddonfield Road Cherry Hill NJ and 7730-7740 Maple Avenue Pennsauken NJ or about any other South Jersey commercial properties for sale, please contact Jason Wolf (856-857-6301; jason.wolf@wolfcre.com) or Scott Seligman (856-857-6305; scott.seligman@wolfcre.com) at Wolf Commercial Real Estate, a South Jersey commercial real estate broker. Wolf Commercial Real Estate is the foremost South Jersey commercial real estate broker that provides a full range of South Jersey commercial real estate listings and services, marketing commercial offices, medical properties, industrial properties, land properties, retail buildings and other South Jersey commercial properties for buyers, tenants, investors and sellers. Please visit our websites for a full listing of South Jersey commercial properties for sale through or South Jersey commercial real estate brokerage firm. Wolf Commercial Real Estate, the foremost Southern New Jersey commercial real estate broker that specializes in South Jersey commercial real estate listings and services, now has available prime South Jersey office space for lease at 1-21 Carroll Avenue Pennsville NJ. This office space in Southern New Jersey offers +/- 1,500 – 4,416 square feet of South Jersey office space for lease. This South Jersey office building for lease in the Cordrey Professional Building at 1-21 Carroll Avenue Pennsville NJ is ideal for any medical or professional use. 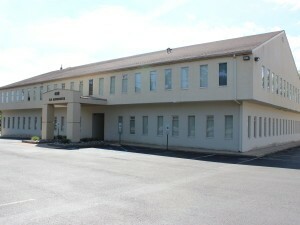 The asking lease price for this office space in South Jersey is $12.00/sf + utilities & janitorial. This Southern New Jersey office space for lease is available for immediate occupancy through Wolf Commercial Real Estate, a Southern New Jersey commercial real estate brokerage firm with expertise in South Jersey commercial real estate listings and services. This South Jersey office building for lease at 1-21 Carroll Avenue Pennsville NJ is under new ownership and management. This South Jersey office space for lease in the Cordrey Professional Building was recently upgraded with significant interior and exterior capital improvements. Located just off Route 49, this office space in South Jersey has convenient access to I-295, the New Jersey Turnpike and the Delaware Memorial Bridge. There is a Wawa convenience store directly across the street from this South Jersey office space for lease. There are restaurants and retail outlets near this Southern New Jersey office space for lease that is situated in the Cordrey Professional Building. This office space in Southern New Jersey has pylon and suite directory signage available. This South Jersey office building for lease is being represented by Wolf Commercial Real Estate, a Southern New Jersey commercial real estate broker that specializes in South Jersey commercial real estate listings and services as well as office space in Southern New Jersey. With a ratio of 5.21/1,000 sf, parking is abundant at this South Jersey office space for lease at 1-21 Carroll Avenue Pennsville NJ. More than 250,000 people live within five miles of this office space in South Jersey. The average household income within the same radius of this Southern New Jersey office space for lease is nearly $90,000. For more information about this South Jersey office space for lease in the Cordrey Professional Building at 1-21 Carroll Avenue Pennsville NJ or about any other South Jersey commercial properties for sale or lease, please contact Christina Del Duca (856-857-6304; christina.delduca@wolfcre.com) or Jason Wolf (856-857-6301; jason.wolf@wolfcre.com) at Wolf Commercial Real Estate, a Southern New Jersey commercial real estate brokerage firm. Wolf Commercial Real Estate is a leading Southern New Jersey commercial real estate broker that provides a full range of South Jersey commercial real estate listings and services, marketing commercial offices, medical properties, industrial properties, land properties, retail buildings and other South Jersey commercial properties for buyers, tenants, investors and sellers. Please visit our website for a full listing of South Jersey commercial properties for lease or sale through our Southern New Jersey commercial real estate brokerage firm. Wolf Commercial Real Estate, a leading South Jersey commercial real estate brokerage firm that specializes in Southern New Jersey commercial real estate listings and services, is now offering newly renovated South Jersey office space for lease at 1873 East Marlton Pike Cherry Hill NJ. This Southern New Jersey office space for lease is located in the Heritage Square Office Park on well-traveled Route 70. There is 1,150-19,285 square feet of divisible South Jersey professional office space for lease on the first floor and 980-21,560 square feet of divisible professional office space in South Jersey on the second floor of this South Jersey office building for lease through Wolf Commercial Real Estate, a South Jersey commercial real estate broker that specializes in Southern New Jersey commercial real estate listings and services. In total, the available suites in this Southern New Jersey office space for lease provide up to 40,845 square feet of contiguous South Jersey professional office space for lease on two floors. The asking lease price for this professional office space in South Jersey in the Heritage Square Office Park at 1873 East Marlton Pike Cherry Hill NJ is $14.00-$16.00/sf plus electric and janitorial. This South Jersey office space for lease is available for immediate occupancy through Wolf Commercial Real Estate, a South Jersey commercial real estate brokerage firm that specializes in Southern New Jersey commercial real estate listings and services. This South Jersey office building for lease is under new ownership and management. This professional office space in South Jersey is next door to a proposed University of Pennsylvania facility and is near the former Syms building. Access to this South Jersey office building for lease in the Heritage Square Office Park is via security cards. With a ratio of 4.83/1,000 sf, there is abundant parking at this South Jersey professional office space for lease. The prime location of this Southern New Jersey office space for lease at 1873 East Marlton Pike Cherry Hill NJ also provides immediate access to I-295, the NJ Turnpike, Route 73 and Center City Philadelphia. More than 224,000 people live within five miles of this professional office space in South Jersey. For more information about this South Jersey office space for lease in the Heritage Square Office Park at 1873 East Marlton Pike Cherry Hill NJ or about any other South Jersey commercial properties for lease or sale, please contact Leor Hemo (856-857-6302; leor.hemo@wolfcre.com) or Christopher R. Henderson (856-857-6337; chris.henderson@wolfcre.com) at Wolf Commercial Real Estate, a South Jersey commercial real estate broker. Wolf Commercial Real Estate is a South Jersey commercial real estate broker that provides a full range of Southern New Jersey commercial real estate listings and services, marketing commercial offices, medical properties, industrial properties, land properties, retail buildings and other South Jersey commercial properties for buyers, tenants, investors and sellers. Please visit our websites for a full listing of South Jersey commercial properties for lease or sale through our South Jersey commercial real estate brokerage firm. Wolf Commercial Real Estate, a premier South Jersey commercial real estate brokerage firm with expertise in South Jersey commercial real estate listings and services, now has available prime South Jersey office space for sale in the Greentree Executive Campus at 2001-2002-2003 Lincoln Drive West Marlton NJ. This office space for sale in South Jersey is in a single-story office complex and is being offered for immediate occupancy by Wolf Commercial Real Estate, a South Jersey commercial real estate broker that specializes in South Jersey commercial real estate listings and services. Drive West Marlton NJ can be divided into multiple units in varying sizes to fit virtually any use. — The South Jersey office building for sale at 2002 Lincoln Drive West Marlton NJ offers approximately 8,930 square feet of professional office space in South Jersey. This office space for sale in South Jersey at 2002 Lincoln Drive West Marlton NJ can be divided into multiple units in varying sizes to fit virtually any use. square feet of professional office space in South Jersey. This office space for sale in South Jersey at 2003 Lincoln Drive West Marlton NJ can be divided into multiple units in varying sizes to fit virtually any use. The asking sale price for this professional office space in South Jersey in the Greentree Executive Campus at 2001-2002-2003 Lincoln Drive West Marlton NJ is $65.00/sf. 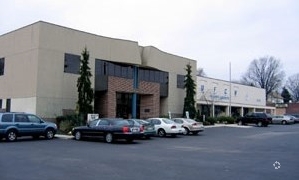 This South Jersey office space for sale at 2001-2002-2003 Lincoln Drive West Marlton NJ is an exceptional location for a medical/professional office. This South Jersey office space for sale offers an opportunity for redevelopment in the heart of Marlton. More than 46,000 vehicles a day pass by this professional office space in South Jersey from Wolf Commercial Real Estate, a South Jersey commercial real estate brokerage firm that specializes in South Jersey commercial real estate listings and services. This South Jersey office space for sale is located in close proximity to banks, restaurants and shopping. Located near the intersection of Route 73 and Greentree Road, this office space for sale in South Jersey is easily accessible to I-295 and the New Jersey Turnpike. For more information about this South Jersey professional office space for sale at 2001-2002-2003 Lincoln Drive West Marlton NJ or about other South Jersey commercial properties for sale or sale, please contact Jason Wolf (856-857-6301; jason.wolf@wolfcre.com) or Christina Del Duca (856-857-6304; christina.delduca@wolfcre.com) at Wolf Commercial Real Estate, a South Jersey commercial real estate broker. Wolf Commercial Real Estate, a top South Jersey commercial real estate brokerage firm that offers Southern New Jersey commercial real estate listings and services, is making available well-located South Jersey office space for sale at 401 South Kings Highway Cherry Hill NJ. Situated in Suite 2C of the Tara Professional Park, this professional office space in South Jersey has suites of 1,728 sf and 1,368 sf and a loft of 360 sf of well-located Southern New Jersey office space for sale. The asking sale price for this professional office space in South Jersey in the Tara Professional Park at 401 South Kings Highway Cherry Hill NJ is $249,000. This South Jersey professional office space for sale is available for immediate occupancy through Wolf Commercial Real Estate, a South Jersey commercial real estate broker that specializes in Southern New Jersey commercial real estate listings and services. This South Jersey office building for sale was renovated not that long ago. This Southern New Jersey office space for sale has an efficient layout and interior design and is perfect for a number of professional uses. This South Jersey office building for sale is part of a professional campus that is wonderfully landscaped campus. This South Jersey office space for sale in the Tara Professional Park at 401 South Kings Highway Cherry Hill NJ is managed and owned by locals. The superb location of this South Jersey professional office space for sale on South Kings Highway offers close-by access to the popular Route 70 corridor, the Haddonfield Business District and all points in Cherry Hill and the surrounding communities. This professional office space in South Jersey also is near Philadelphia. There are a number of businesses and amenities close by this South Jersey office building for sale. 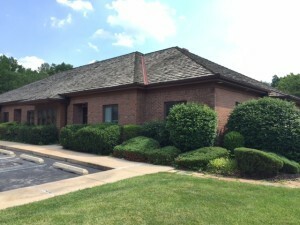 This Southern New Jersey office space for sale in the Tara Professional Park at 401 South Kings Highway Cherry Hill NJ is available from Wolf Commercial Real Estate, a South Jersey commercial real estate brokerage firm that works with Southern New Jersey commercial real estate listings and services. There is plentiful parking at this South Jersey office building for sale and more than 56,000 vehicles per day drive in front of this South Jersey professional office space for sale. Just under 305,000 people live within a five-mile radius of this Southern New Jersey office space for sale. For more information about this South Jersey office space for sale in the Tara Professional Park at 401 South Kings Highway Cherry Hill NJ or about any other South Jersey commercial properties for sale or sale, psale contact Jason Wolf (856-857-6301; jason.wolf@wolfcre.com) or Leor Hemo (856-857-6302; leor.hemo@wolfcre.com) at Wolf Commercial Real Estate, a South Jersey commercial real estate broker. Wolf Commercial Real Estate is a South Jersey commercial real estate broker that provides a full range of Southern New Jersey commercial real estate listings and services, marketing commercial offices, medical properties, industrial properties, land properties, retail buildings and other South Jersey commercial properties for buyers, tenants, investors and sellers. Psale visit our websites for a full listing of South Jersey commercial properties for sale or sale through our South Jersey commercial real estate brokerage firm. Wolf Commercial Real Estate, a South Jersey commercial real estate brokerage firm that specializes in South Jersey commercial real estate listings and services, now has available South Jersey office space for sale at 496 & 498 North Kings Highway Cherry Hill NJ. This well-located South Jersey office space has two floors available at 496 North Kings Highway Cherry Hill NJ. The first floor is 11,500 sf and the second floor is 11,500 sf comprising an entire building of South Jersey office space for sale totaling 23,000 sf. 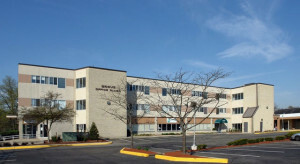 There also are two floors available nearby at 498 North Kings Highway Cherry Hill NJ. In this second building, the first floor is 10,000 sf and the second floor is 11,500, which adds up to 21,500 sf of South Jersey office space for sale. There are more than 261,000 potential customers living within a five-mile radius of this South Jersey office space for sale through Wolf Commercial Real Estate, a South Jersey commercial real estate broker. The asking sale price for this South Jersey office space is $1.495 million for 496 North Kings Highway Cherry Hill NJ and $1.1 million for 498 North Kings Highway Cherry Hill NJ. The units in this office space in South Jersey at 496 North Kings Highway Cherry Hill are fully leased until 12/2017, but the units in 498 North Kings Highway Cherry Hill NJ are available for immediate occupancy from Wolf Commercial Real Estate, a leading South Jersey commercial real estate broker that specializes in South Jersey commercial real estate listings and services. This South Jersey office space for sale at 496 & 498 North Kings Highway Cherry Hill NJ is a great fit for any professional or medical user seeking ample parking. There are 4/1,000 spaces available at the office building in South Jersey at 496 North Kings Highway Cherry Hill NJ and 4.5/1,000 spaces available at this South Jersey office building at 498 North Kings Highway Cherry Hill NJ. This South Jersey office space for sale also has excellent visibility and offers monument/building signage. This South Jersey office space for sale is strategically located in the heart of Cherry Hill with easy access to Route 70, 38, I-295 and the New Jersey Turnpike. The prime location of this office space in South Jersey puts it near a number of banks, restaurants, medical and retail facilities. For more information about this South Jersey office space for sale at 496 & 498 North Kings Highway Cherry Hill NJ, or about any other South Jersey commercial properties for sale, please contact Jason Wolf (856-857-6301; jason.wolf@wolfcre.com) or Leor Hemo (856-857-6302; leor.hemo@wolfcre.com) at Wolf Commercial Real Estate, the foremost South Jersey commercial real estate broker. Wolf Commercial Real Estate is a premier South Jersey commercial real estate brokerage firm that provides a full range of South Jersey commercial real estate listings and services, marketing commercial offices, medical properties, industrial properties, land properties, retail buildings and other South Jersey commercial properties for buyers, tenants, investors and sellers. Please visit our websites for a full listing of South Jersey commercial properties for sale or sale through our South Jersey commercial real estate brokerage firm. Wolf Commercial Real Estate, a premier Cherry Hill commercial real estate brokerage firm with expertise in Cherry Hill commercial real estate listings and services, now has available prime Cherry Hill office space for lease in the Colwick Business Center at 53-55-57 Haddonfield Road Cherry Hill NJ. This office space for lease in Cherry Hill is located in the heart of the Cherry Hill business district in three one-story buildings, each of which features an efficient layout with open bullpen areas and individual offices. — There is one suite remaining at the Cherry Hill office building for lease at 53 Haddonfield Road Cherry Hill NJ. Suite 330 at 53 Haddonfield Road Cherry Hill NJ has approximately 15,025 square feet of Cherry Hill professional office space for lease. — The Cherry Hill office building for lease at 55 Haddonfield Road Cherry Hill NJ offers approximately 61,694 square feet of professional office space in Cherry Hill. This office space for lease in Cherry Hill at 55 Haddonfield Road Cherry Hill NJ can be divided into multiple units in varying sizes to fit virtually any use. — There also is only one suite remaining in the Cherry Hill office building for lease at 57 Haddonfield Road Cherry Hill NJ. This suite features approximately 2,500 square feet of Cherry Hill professional office space for lease at 57 Haddonfield Road Cherry Hill NJ. The asking lease price for this professional office space in Cherry Hill in the Colwick Business Center at 53-55-57 Haddonfield Road Cherry Hill NJ is $9.50-$12.00/sf NNN. This Cherry Hill office space for lease is being offered for immediate occupancy by Wolf Commercial Real Estate, a Cherry Hill commercial real estate broker that specializes in Cherry Hill commercial real estate listings and services. A new NJ Transit bus stop (Route 404) now services this office space for lease in Cherry Hill in the Colwick Business Center at 53-55-57 Haddonfield Road Cherry Hill NJ. A NJ Transit train station with direct access to Philadelphia and Atlantic City is located just five minutes from this Cherry Hill professional office space for lease. More than 288,000 residents live within five miles of this professional office space in Cherry Hill from Wolf Commercial Real Estate, a Cherry Hill commercial real estate brokerage firm that specializes in Cherry Hill commercial real estate listings and services. Located at the intersection of Haddonfield and Church roads, this Cherry Hill office space for lease is easily accessible from Routes 38, 73 and 70 and I-295, as well as from Philadelphia via the Betsy Ross Bridge and the Ben Franklin Bridge. Parking is abundant at this office space for lease in Cherry Hill at a ratio of 4.23/1,000 sf at 53 Haddonfield Road Cherry Hill NJ, 4.8/1,000 sf at 55 Haddonfield Road Cherry Hill NJ and 4.78/1,000 sf at 57 Haddonfield Road Cherry Hill NJ. This Cherry Hill office space for lease is located in close proximity to several local amenities, including the Cherry Hill Mall, Garden State Towne Center, banks, restaurants, and more. For more information about this Cherry Hill professional office space for lease at 53-55-57 Haddonfield Road Cherry Hill NJ or about other Cherry Hill commercial properties for sale or lease, please contact Jason Wolf (856-857-6301; jason.wolf@wolfcre.com), Leor Hemo (856-857-6302; leor.hemo@wolfcre.com) or Christina Del Duca (856-857-6304; christina.delduca@wolfcre.com) at Wolf Commercial Real Estate, a Cherry Hill commercial real estate broker. Wolf Commercial Real Estate, a leading Southern New Jersey commercial real estate brokerage firm with expertise in South Jersey commercial real estate listings and services, now has available South Jersey office space for lease in the Grove Office Plaza at 515 Grove Street Haddon Heights NJ. This Southern New Jersey office space for lease is located in an affordable, mid-rise South Jersey office building for lease. There are three suites with between 1,050 square feet to 4,670 square feet of professional office space in South Jersey available in this Haddon Heights office space for lease. The first floor of this South Jersey office building for lease currently has one suite available with 2,800 square feet of professional office space in Haddon Heights. An additional two suites on the third floor of this Southern New Jersey office space for lease also are being offered, one with 1,050 square feet and one with 4,670 square feet of Haddon Heights office space for lease. The asking lease price of this professional office space in South Jersey is $15.50/sf gross plus utilities and janitorial service. 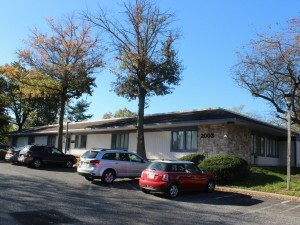 This South Jersey office space for lease in the Grove Office Plaza at 515 Grove Street Haddon Heights NJ is available for immediate occupancy through Wolf Commercial Real Estate, a Southern New Jersey commercial real estate broker that specializes in South Jersey commercial real estate listings and services. This professional office space in Haddon Heights is located immediately off Exit 29 of I-295, providing easy access to points North and South. This South Jersey office building for lease also is served by public transportation that is available along nearby Route 30 (the White Horse Pike). This South Jersey office space for lease features monument/tenant directory signage at the intersection of Route 30 and Grove Street. At a ratio of 4/1,000 sf, parking is plentiful at this professional office space in South Jersey offered through Wolf Commercial Real Estate, a Southern New Jersey commercial real estate brokerage firm with expertise in South Jersey commercial real estate listings and services. 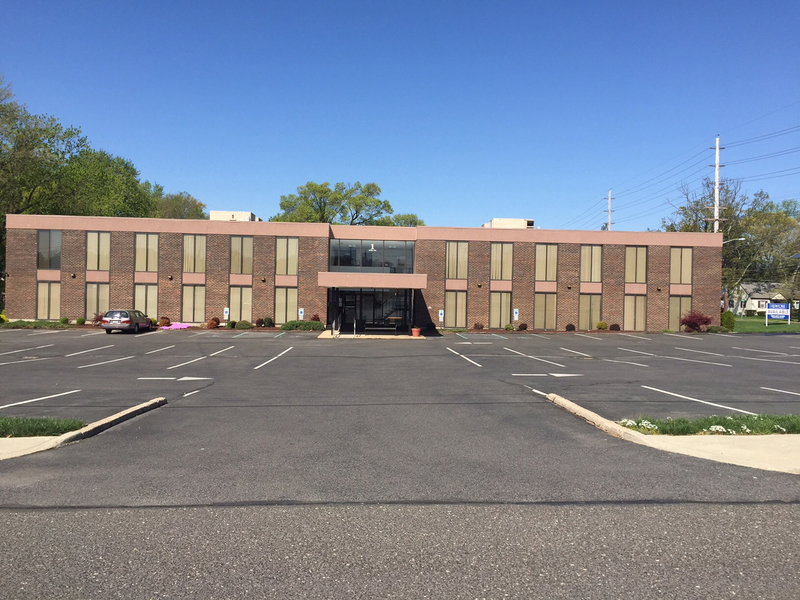 On average, more than 33,000 vehicles per day travel along the White Hose Pike near the entrance to this Haddon Heights office space for lease at 515 Grove Street Haddon Heights NJ. Nearly 120,000 people reside within a three-mile radius of this Southern New Jersey office space for lease in the Grove Office Plaza. For more information about this professional office space in Haddon Heights in the Grove Office Plaza at 515 Grove Street Haddon Heights NJ, or about any other South Jersey commercial properties for sale or lease, please contact Jason Wolf (856-857-6301; jason.wolf@wolfcre.com) or Christina Del Duca (856-857-6304; christina.delduca@wolfcre.com) at Wolf Commercial Real Estate, a premier Southern New Jersey commercial real estate broker. Wolf Commercial Real Estate, the foremost South Jersey commercial real estate brokerage firm with expertise in Southern New Jersey commercial real estate listings and services, is now offering highly desirable and unique South Jersey office space for lease at 1926 Greentree Road Cherry Hill NJ. This South Jersey office building for lease provides 3,000 square feet of Class A professional office space in South Jersey. Located near the intersection of Greentree Road and Springdale Road, this Southern New Jersey office space for lease at 1926 Greentree Road Cherry Hill NJ is housed in an attractive professional office building with striking architectural details. The asking lease price of this professional office space in South Jersey is $19.00/sf gross plus utilities and janitorial. This Southern New Jersey office space for lease is available for immediate occupancy through Wolf Commercial Real Estate, a South Jersey commercial real estate broker that specializes in Southern New Jersey commercial real estate listings and services. This Class A South Jersey office building for lease features high-end office fit-out and finishes. Monument signage is available to tenants at this South Jersey office space for lease at 1926 Greentree Road Cherry Hill NJ. This Southern New Jersey office space for lease enjoys on-site ownership and management. There is a free basement storage unit available with the lease of this professional office space in South Jersey. Parking at this Southern New Jersey office space for lease is ample. This South Jersey office building for lease is being offered through Wolf Commercial Real Estate, a South Jersey commercial real estate broker with expertise in Southern New Jersey commercial real estate listings and services. From its centralized location at 1926 Greentree Road Cherry Hill NJ, this South Jersey office space for lease is easily accessible from Routes 70 and 73, as well as 1-295, which is approximately one mile away. This South Jersey office building for lease also is within close proximity to area restaurants and retail establishments. More than 215,600 people live within a five-mile radius of this Southern New Jersey office space for lease. The average household income within the same five-mile radius of this professional office space in South Jersey is $103,400. For more information about this South Jersey office space for lease at 1926 Greentree Road Cherry Hill NJ or about any other South Jersey commercial properties for sale or lease, please contact Jason Wolf (856-857-6301; jason.wolf@wolfcre.com) or Leor Hemo (856-857-6302; leor.hemo@wolfcre.com) at Wolf Commercial Real Estate, a South Jersey commercial real estate broker that specializes in Southern New Jersey commercial real estate listings and services. Wolf Commercial Real Estate is a premier South Jersey commercial real estate brokerage firm that provides a full range of Southern New Jersey commercial real estate listings and services, marketing commercial offices, medical properties, industrial properties, land properties, retail buildings and other South Jersey commercial properties for buyers, tenants, investors and sellers. Please visit our websites for a full listing of South Jersey commercial properties for lease or sale through our South Jersey commercial real estate brokerage firm. Wolf Commercial Real Estate, a premier Southern New Jersey commercial real estate brokerage firm that specializes in South Jersey commercial real estate listings and services, is offering unique South Jersey office space for sale or lease at 1 Alpha Avenue Voorhees NJ. This well-located Southern New Jersey office space for sale or lease presents the opportunity to purchase a South Jersey commercial building that has an elevator. 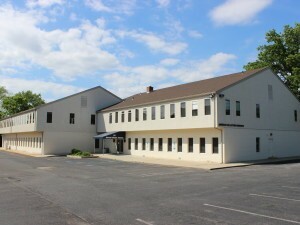 This Voorhees office space for sale or lease is a great fit for any professional or medical user. The asking lease price for this South Jersey professional office space for sale or lease at 1 Alpha Avenue Voorhees NJ is $14.50/sf Full Service. The asking sale price for this professional office space in Voorhees is $1.575,000. This Southern New Jersey office space for sale or lease is available for immediate occupancy through Wolf Commercial Real Estate, a Southern New Jersey commercial real estate broker that specializes in Voorhees commercial real estate listings and services. This South Jersey office building for sale or lease provides +/-1,000-20,000 square feet of divisible South Jersey office space for sale or lease. This South Jersey professional office space for sale or lease at 1 Alpha Avenue Voorhees NJ is in the Ashland Office Center. This South Jersey office building for sale or lease has two stories. 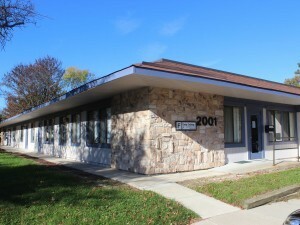 This Voorhees office space for sale or lease also has monument and building signage available. With convenient access to I-295, this Southern New Jersey office space for sale or lease is near the Ashland Station of the PATCO High-Speed Line. 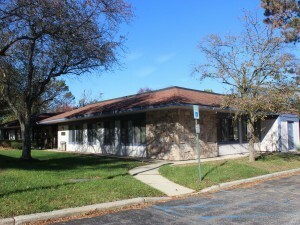 There are numerous amenities in close proximity to this professional office space in Voorhees that is being offered for sale or lease by Wolf Commercial Real Estate, Southern New Jersey commercial real estate brokerage firm that specializes in Voorhees commercial real estate listings and services. Just fewer than 260,000 people live within five miles of this South Jersey professional office space for sale or lease at 1 Alpha Avenue Voorhees NJ. The average household income within the same five-mile radius of this Voorhees office space for sale or lease is just less than $90,000. 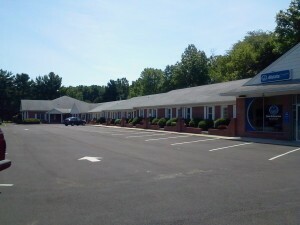 This professional office space in Voorhees has had recent capital improvements completed to the roof and exterior. Parking at this South Jersey office building for sale or lease is ample. For more information about this South Jersey office space for sale or lease at 1 Alpha Avenue Voorhees NJ or about any other South Jersey commercial properties for sale or lease, please contact Leor Hemo (856-857-6302; leor.hemo@wolfcre.com) or Jason Wolf (856-857-6301; jason.wolf@wolfcre.com) at Wolf Commercial Real Estate, a Southern New Jersey commercial real estate broker that specializes in South Jersey commercial real estate listings as well as Voorhees commercial real estate listings.